Jump aboard one of Boston’s Tall Ships and see the sights, hoist the sails, and take a turn at the helm on one of the schooners. With the support of the crew at Schooner Day Sails, all ages can learn the boating basics or sit back and relax with a fully stocked bar. 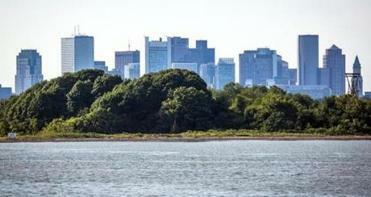 Along the way, voyagers will enjoy the scenic views of the Boston Harbor and the magnificent islands. Ships set sail multiple times a day on either the 125-foot-tall Liberty Clipper or the 67-foot-tall Liberty Star. 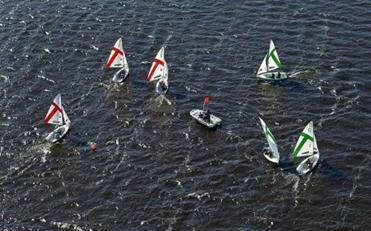 They also offer Sunday brunch tours, sunset sails, and special events throughout the summer. Boston already has its share of walking tours, including haunted tours, food tours, even beer walks, and, of course, the most famous walk of all, the Freedom Trail. 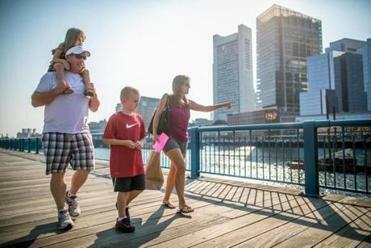 If the Freedom Trail showcases the city’s history, the Boston HarborWalk is more about what’s new, starting with the actual walk itself. It’s not a tour you can tackle in a few hours. Maybe make it a summer goal to do the entire HarborWalk, a stretch from Winthrop to Milton that’s nearly 50 miles long. You’ll burn some calories, and you’ll see parts of the city and nearby neighborhoods you never explored. From Chelsea Creek to the Neponset River, from East Boston to Charlestown, from the North End to Downtown Crossing, and from South Boston to Dorchester, it covers a lot of territory. Another way to cover this is on two wheels. Grab your helmets as biking is now a great way to actively explore the territory. Rent a bike at Urban Adventours or just hit a Hubway station. No matter what activity you have in mind, the Harbor Islands have got you covered. Hop on a ferry to enjoy a day at the beach, do some fishing, go boating and kayaking, or just wander around. And, if you can’t fit every desire into one short day, campsites are available throughout the park for a traditional tent experience. 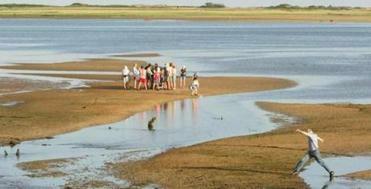 If you can’t stay for an entire day, consider a coveted sunset clambake on Spectacle Island. Grab your family, friends, or co-workers and cruise on over to enjoy tasty seafood, sandy beaches, and the ocean breeze; a perfect end to the day. Various locations. July 27 and 28. 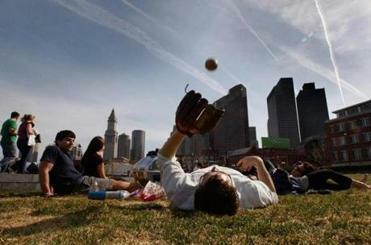 This event, from WGBH and The Boston Globe, moves from Copley Square to the Waterfront, expanding the festivities from East Boston through Dorchester. Waterfront businesses and museums will come together and host participatory and visual art, with events from the Greenway to the Harbor Islands. Beehive Studio will host a day of kid’s crafts on Saturday and art programs and workshops will be held throughout the weekend. Get out of the city but avoid the traffic, and take the high-speed ferry to Provincetown to revel in the beaches, and seaside boutiques and the eclectic collection of restaurants. Catch the early ferry there, and take the last one home, and it’s a long day, but a worthwhile one. You can rent a bike in P-Town or bring your own on the ferry to get around (helmet, please). You might be lucky to spot a whale or seal or dolphin on the trip, and on the way over be sure and grab a boxed lunch to go. For just $11, Barbara Lynch’s Sportello on Congress St. will make up a sandwich, chips or popcorn, homemade cookies, and a drink. Unlike driving to Provincetown, what makes this trip so fun is that getting there is almost as fun as the destination itself. New England Aquarium, July 1. This is a big deal. 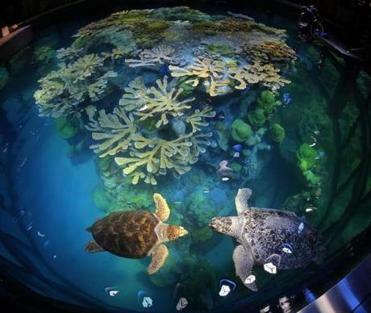 After construction began in October 2012, the Giant Ocean Tank at the New England Aquarium is finally set to be open to the public on July 1. The old tank held about 800 animals, the new one will house almost double that. And the glass will be clearer than ever. Once again, lose yourself in the mesmerizing view of a coral reef habitat with colorful fish and the iconic sea turtle and sharks. It’s always been one of the oldest and coolest exhibits among all the Boston institutions, and it’s about to get a whole lot cooler. 60 Northern Ave. Monday-Thursday 11:30 a.m. to 10p.m. ; Friday-Saturday 11:30 a.m. to 11 p.m.; Sunday 11:00 a.m.to 9 p.m.
It’s official. There are no more hidden gems down on the Waterfront. But brunch at Sam’s is close. This is not your typical pancakes and eggs brunch. There’s smoke trout and coconut cream crepes and a vegan tofu scramble and a house made English muffin with crab salad, to name a few items. And then there’s the view. 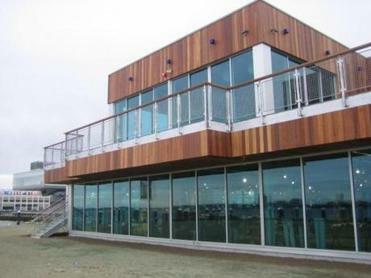 The second-floor spot features wall-to-wall windows for a stunning take of the water. Just walk it and remember what used to be there — a highway. There is no shortage of food and scenery in this mile-long path winding through the North End to Chinatown. Visit the farmers’ markets and food trucks along the way and enjoy the sights by foot. There are plenty of opportunities to play and learn in this park from Mill Pond to the Learning Rail Timeline. Everyone loves a classic carousel. Come the summer’s end, adults and kids alike can share in the fun as a brand new version makes its way to the Greenway. Designed by two local artists, it is seemingly a piece of art with an assortment of 14 colorfully detailed, hand-painted creatures in lieu of horses. 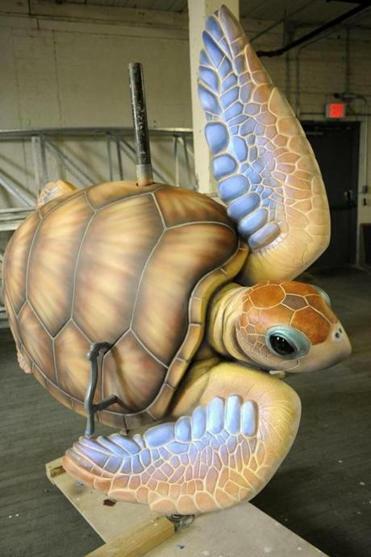 The carousel will feature Boston-inspired animals from sea turtles to lobsters to butterflies. What better way to close out the summer than fireworks on the waterfront? For the first time since the late 1990s, The Boston Harbor Association is planning a massive fireworks show and they expect 100,000 people or more could show up. Keep your eyes open for special programming and offers through local restaurants and businesses or check out different cruises to view the skies from the water.